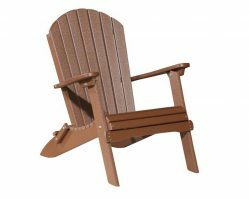 Metal and wood crafted patio chairs suffer from cracking and rotting. Even worse, metal furniture rusts and spoils the natural beauty of your porch, deck, or patio entertainment area. 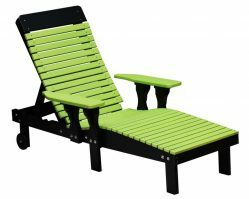 With our poly chairs you can avoid these problems and enjoy many additional advantages with this brand of furniture. 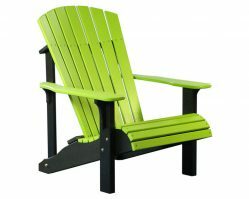 To start, you will have a wide range of options in outdoor chair design, styling, colors, and functionality. 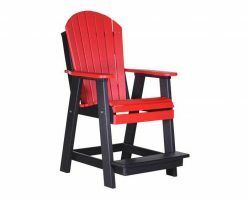 Regardless of the type of patio chairs you want, LuxCraft® will have it. Just a quick spray with your garden hose takes care of any food spills or dirt, and make it look like new again. No discoloring, no sagging or loss of shape, and certainly no rot. 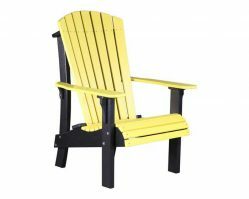 This furniture will be sturdy enough to provide a stable seat even when placed on soft ground. 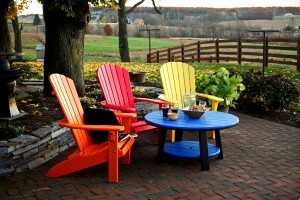 Yet, you can easily move the chairs or tables to different locations on the lawn or deck without any difficulty. Just sit back and soak up the quality of LuxCraft® patio chairs!